Coffee Risotto is one huge example, it sparked off the idea of a sweet risotto, which of course made me realise how obvious a sweet risotto is. It’s just a more sophisticated name for the old school dinners favourite – rice pudding. By Coffee Muffins inspired by this Coffee Risotto recipe. This is a subtle coffee risotto infused with flavour from decaf coffee beans. 2 tablespoons of decaf coffee beans, I used decaf to not give me a head buzz, but feel free to use normal coffee beans or 1 1/2 tsp of instant coffee instead. 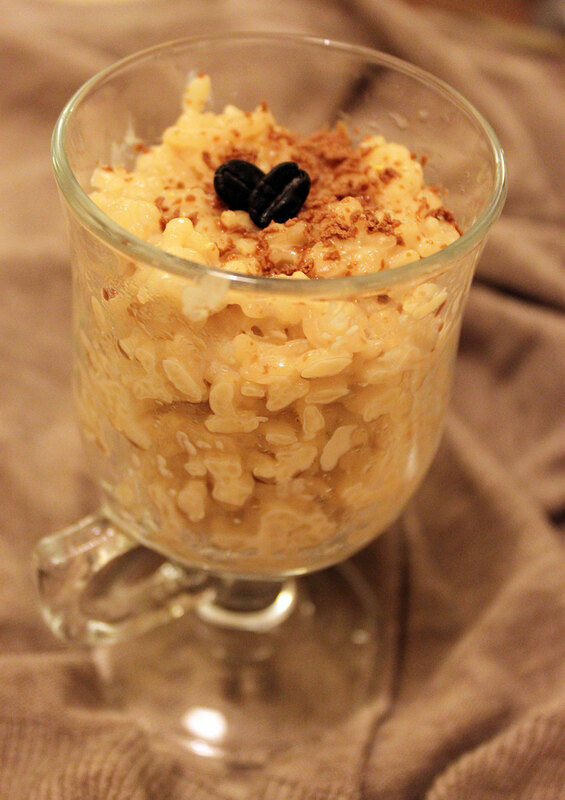 3/4 cup of pudding rice or you could just use arborio rice instead. 1 1/2 cups of whole milk, could use semi skimmed, the original recipe uses single cream. 3 tablespoons of caster sugar, I only used 2 and it could have done with a bit more. 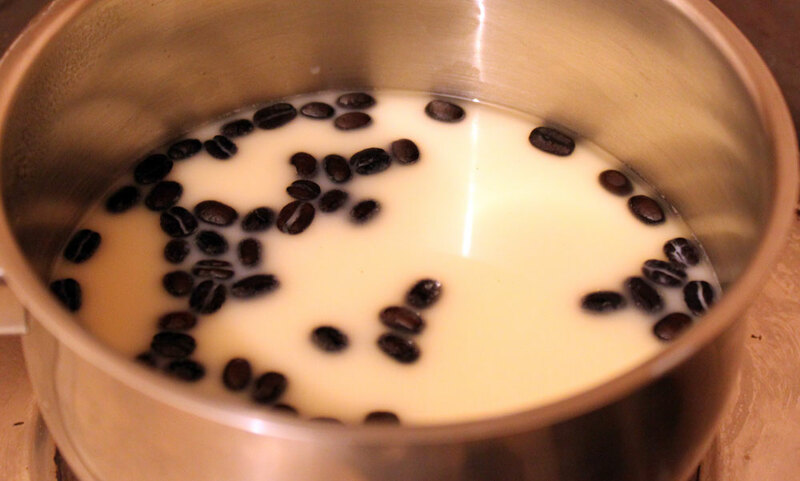 Add the water and coffee beans (or instant coffee) to a pan under a medium heat until it reaches boiling point. Remove the pan from the heat and add in the rice. Leave to soak for 5 minutes. Now add in milk and vanilla essence, cook over a low heat until the rice is tender, this took me about 20 minutes. To serve remove the beans from the rice (this is fiddly and I haven’t found a particularly good way to do it yet) then stir in the sugar. Add the rice to bowls (or in my case coffee glasses), top with shavings of chocolate and some of the left over coffee beans as a garnish. This recipe had a wonderful delicate coffee flavour, when made using the coffee beans. If you love a strong coffee taste you could add more than 2 tablespoons, or you could also try grinding the beans first and then draining before adding the rice.